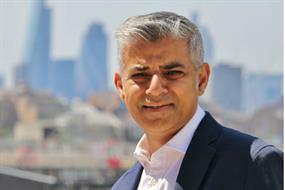 Initiative will see mayor work with councils to deliver temporary modular homes for affordable rent on meanwhile sites. Oxford's Barton Park is a large-scale housing development that is designed to bring benefits to its residents and to those living around it, finds Josephine Smit. University of Birmingham's new open space at its Edgbaston campus combines planting and technological innovation to create a multi-functional public realm, writes Josephine Smit. Refurbishment of a canalside building is the first phase in the development of a west London hub for SMEs, finds Josephine Smit.